3D modeling is the process of using Computer Aided Design (CAD) software to create virtual designs of a part, widget, or whatever you can imagine. Finnovation Product Development uses 3D CAD software suites offered by Autodesk (ADSK). With this software collection, we are able to incorporate CAD files from the many diverse CAD software packages and use the designs for 3D Printing purposes. Engineering grade CAD software creates "solid" parametric models. The materials to be used are specified in these models and CAD applies a special feature to the design which incorporates the materials actual physical properties according to the strict measurements and tolerances required. 3D CAD models can be tested in a virtual environment prior to prototyping to ensure the proper fit and tolerances are in place. These features of the CAD software streamline the design process and are specifically useful for engineering and mechanical design purposes. 3D CAD software is the key to unlocking your ideas. 3D modeling software can also be used to create elegant designs and organic contours that are more natural than a gear or a bracket, for example. For organic shapes, there is another type of 3D CAD software that literally allows the artist to sculpt a virtual lump of clay into beautiful virtual designs. This process is called 3D mesh modeling. The result is a wireframe that represents the outside geometry of the design. 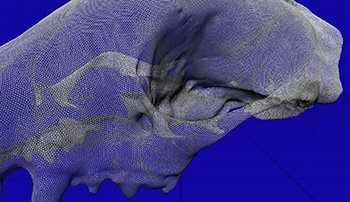 However, the mesh does not have any "mass" in comparison to a "solid" part as previously discussed. Hollywood is a great example of an industry that makes use of lifelike virtual 3D models. Most aliens, monsters, and even family pets are created in a 3D virtual environment, and then incorporated into the film. 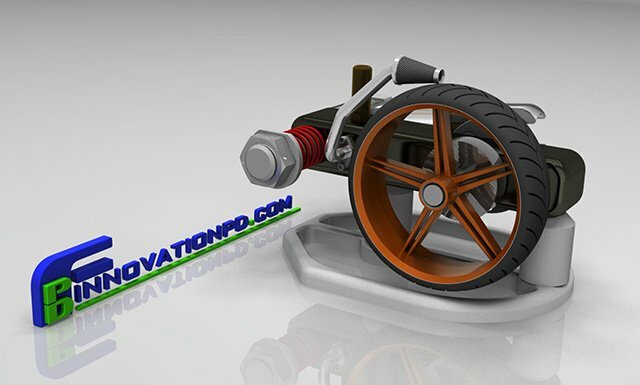 The two styles of 3D CAD modeling are coupled best by the automotive industry. This industry uses CAD to fuse elegant organic designs and mechanical engineering, to produce a beautiful, sellable product. Modern automotive design is based 100% on 3D CAD models detailed to include every bolt, weld, and even the paint job. Depending on what your design needs are there is specific 3D CAD software that will aid to create a 3D virtual model of your concept or engineered design. Whether your 3D model is intended to be an artistic, organic form, a fully engineered part, it can be created into a physical model within hours using the capabilities of 3D printing technology. From an iPad sketch, to the desktop 3D CAD modeling platform, then sent to the 3D printer, your ideas become real. Finnovation Product Development will accelerate your design process. We put your ideas into your hands.